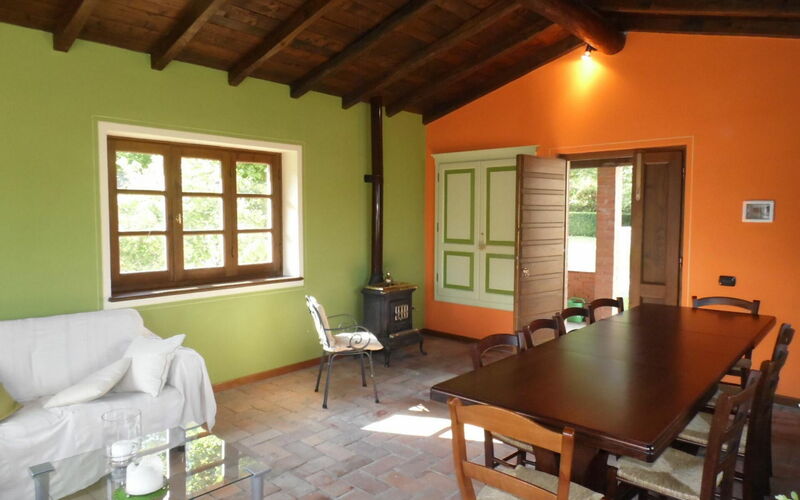 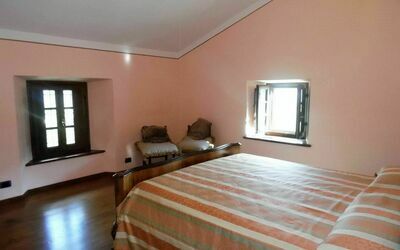 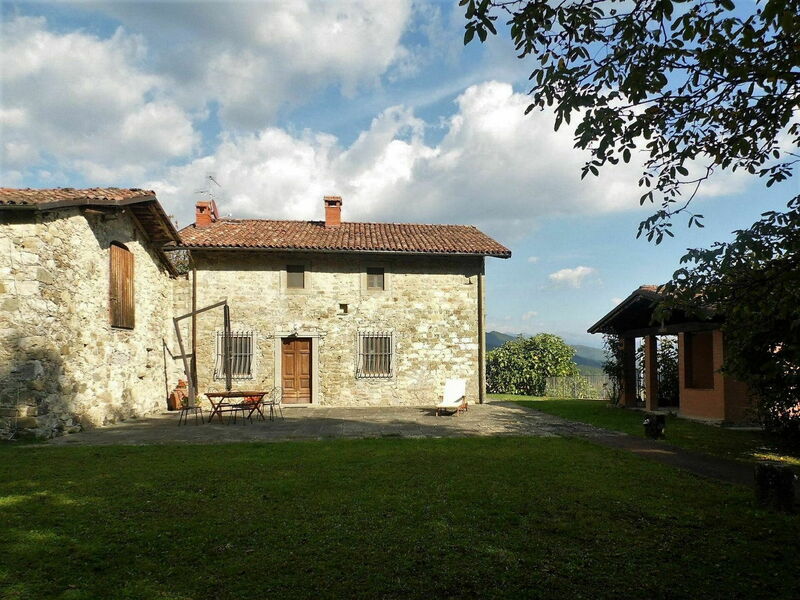 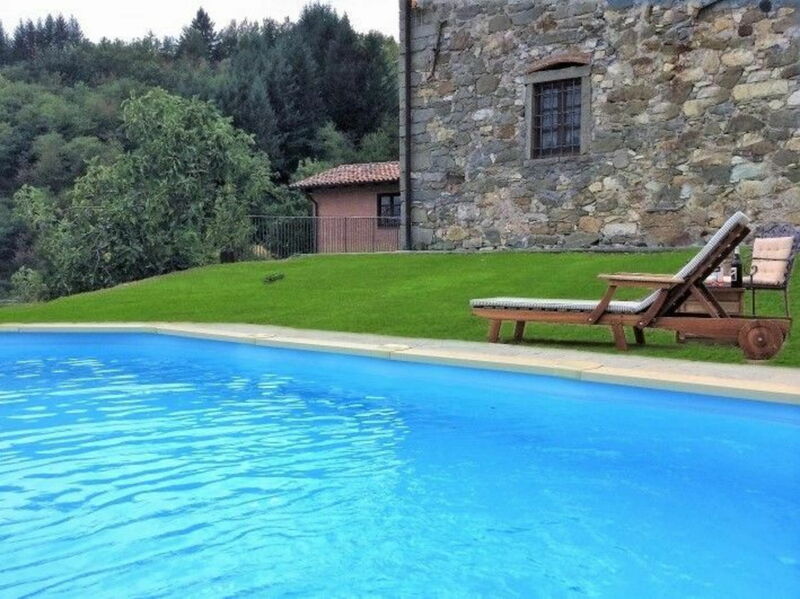 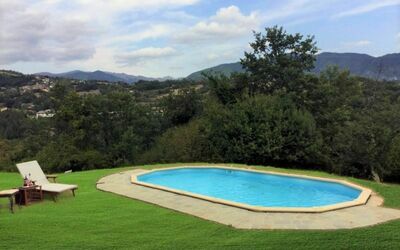 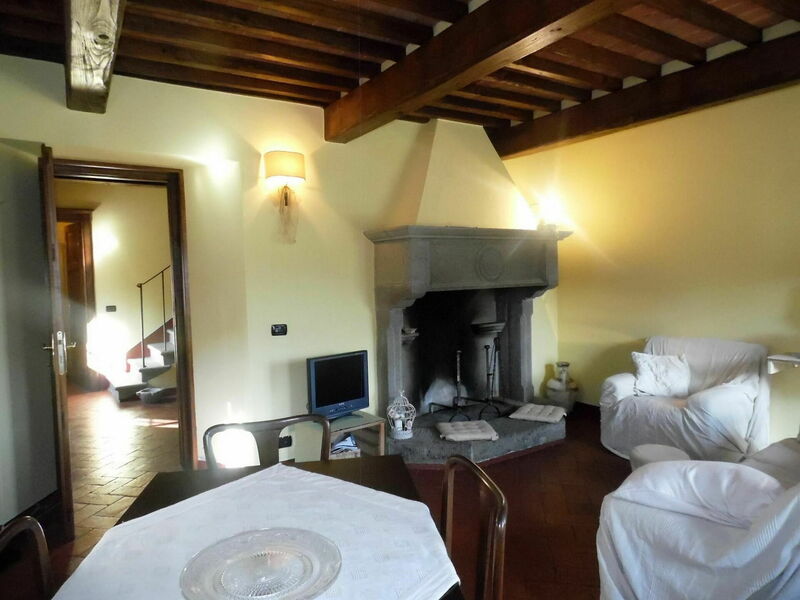 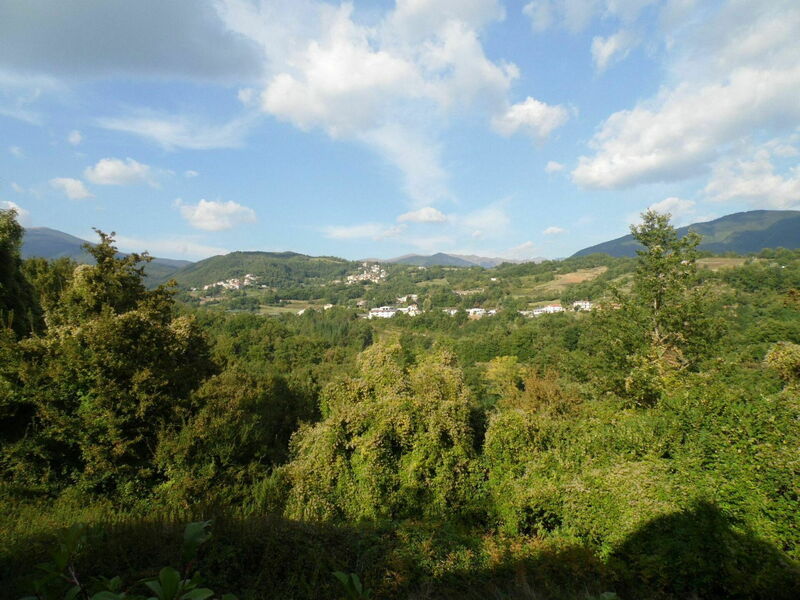 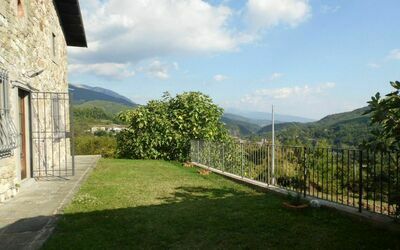 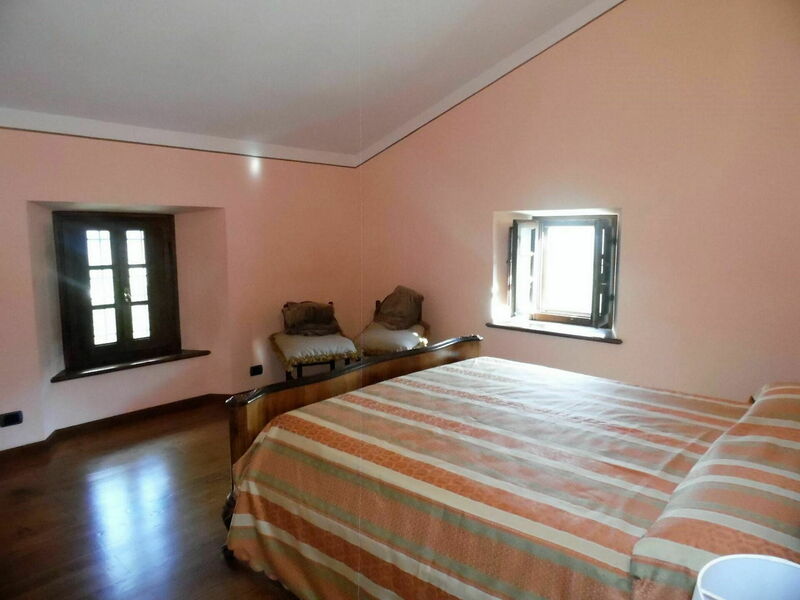 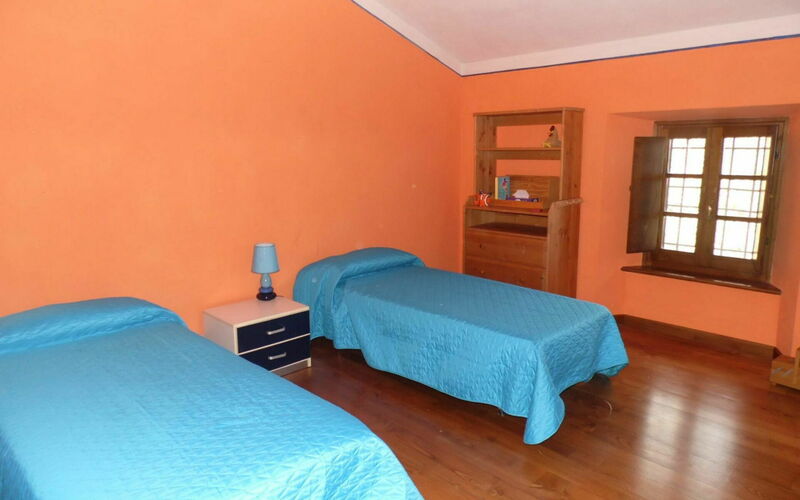 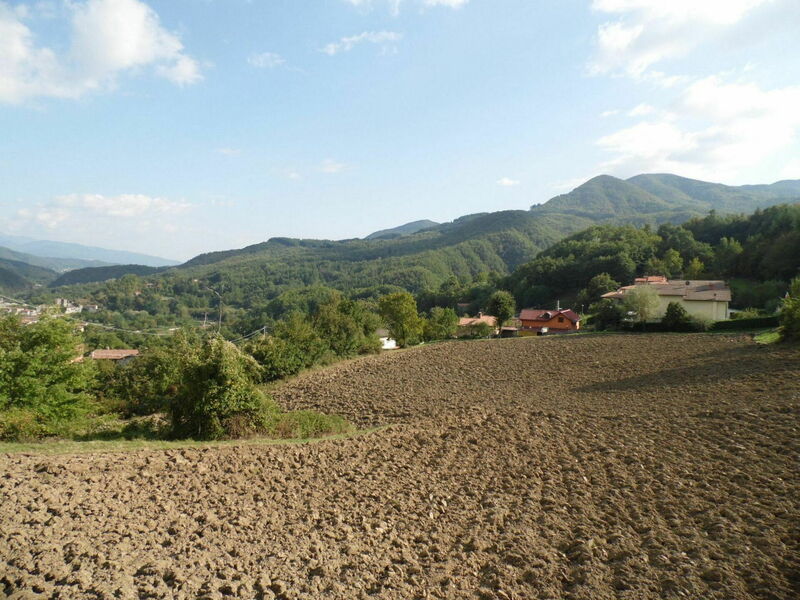 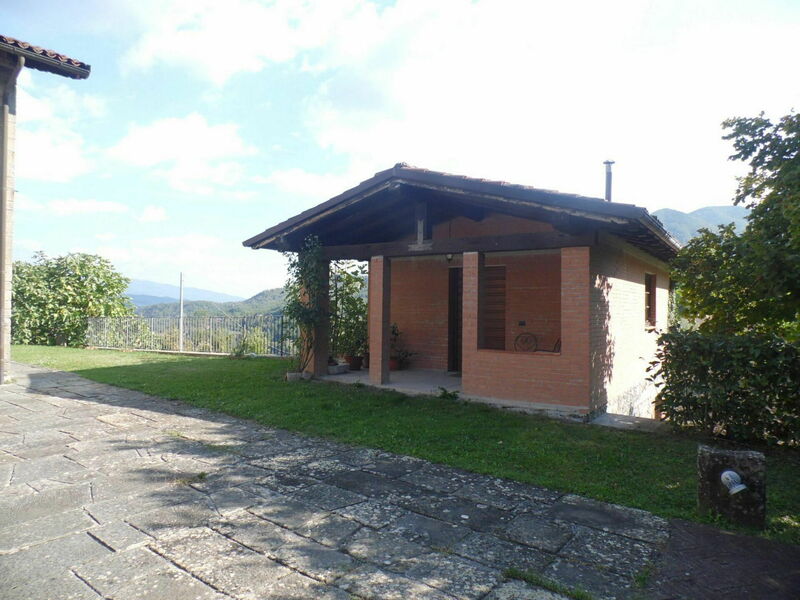 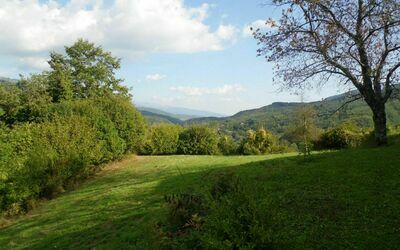 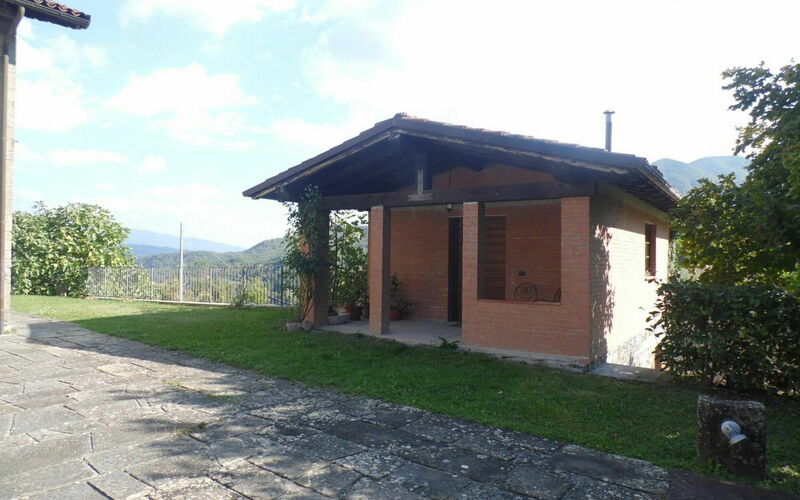 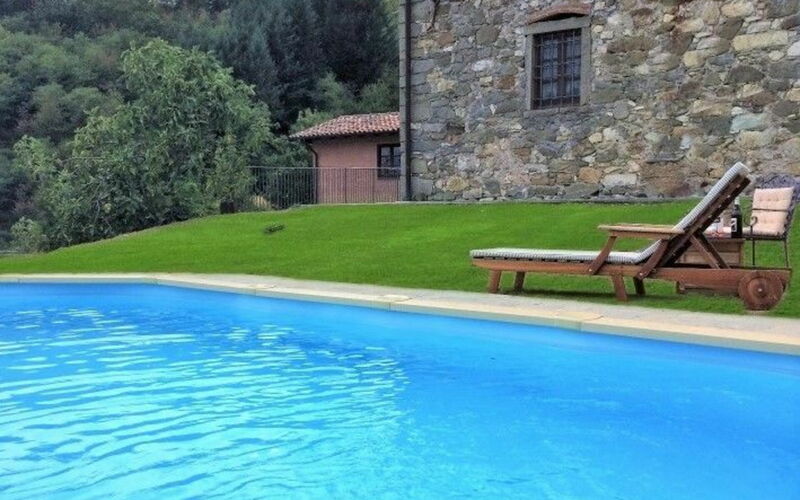 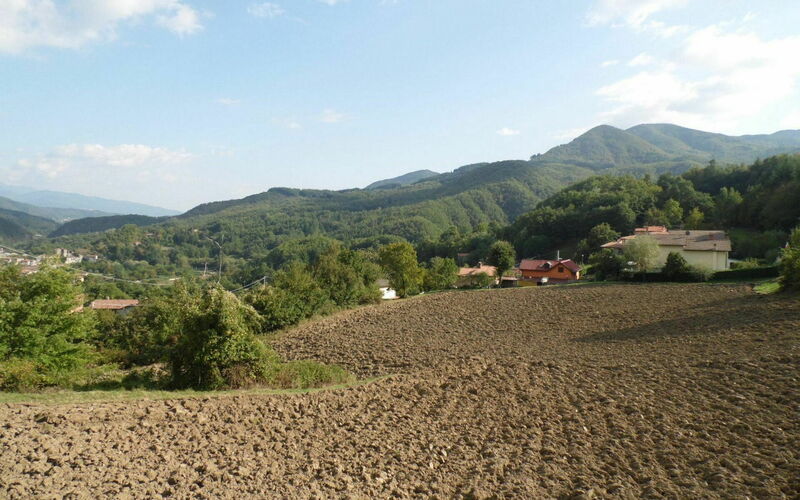 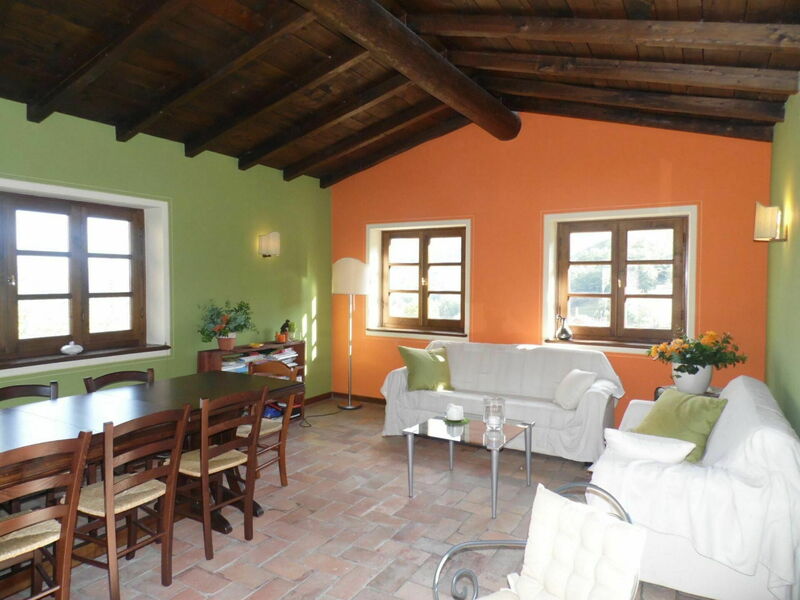 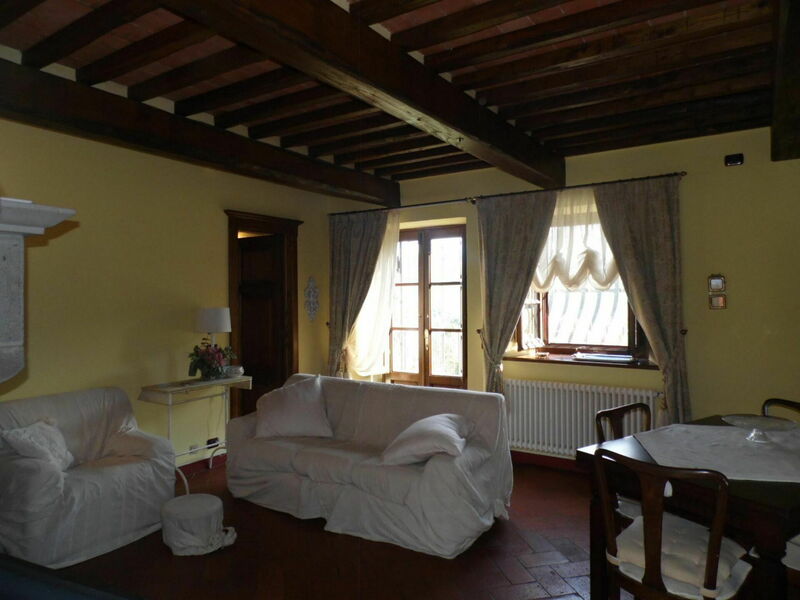 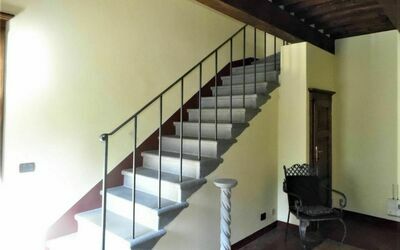 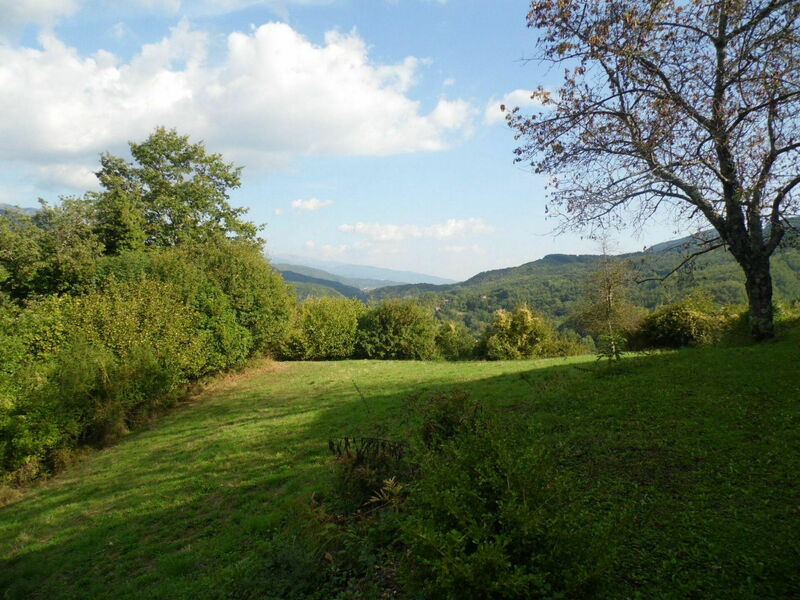 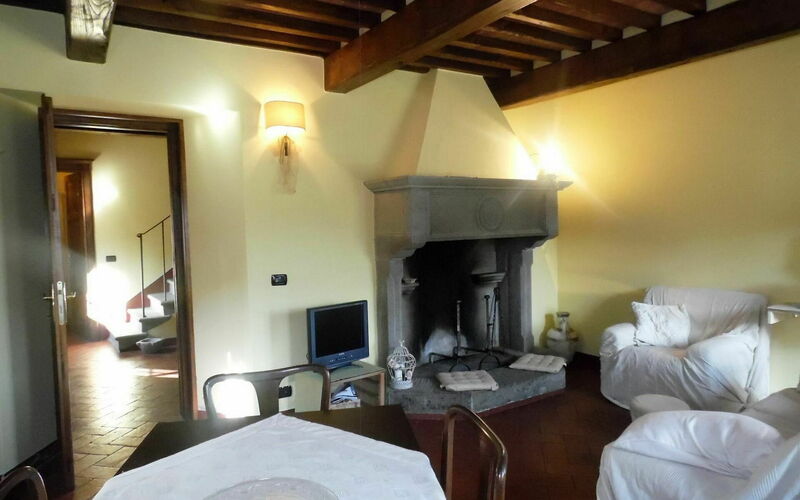 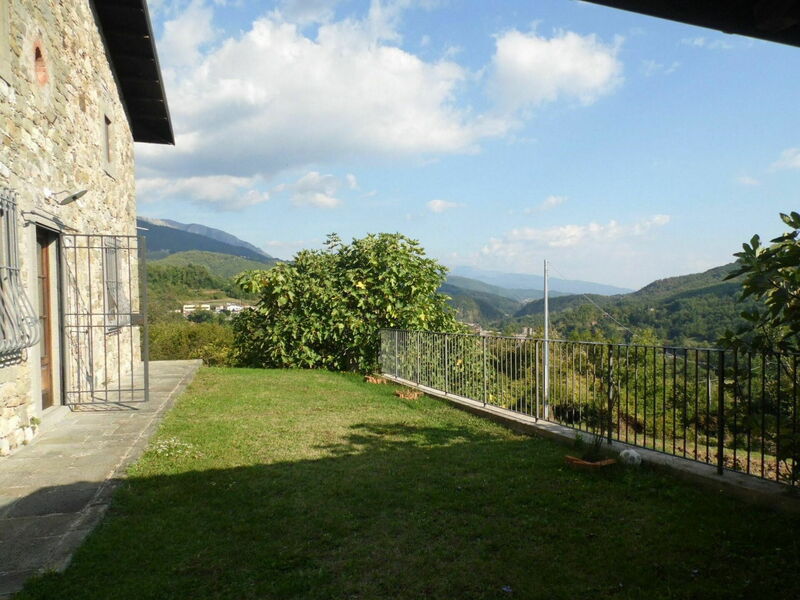 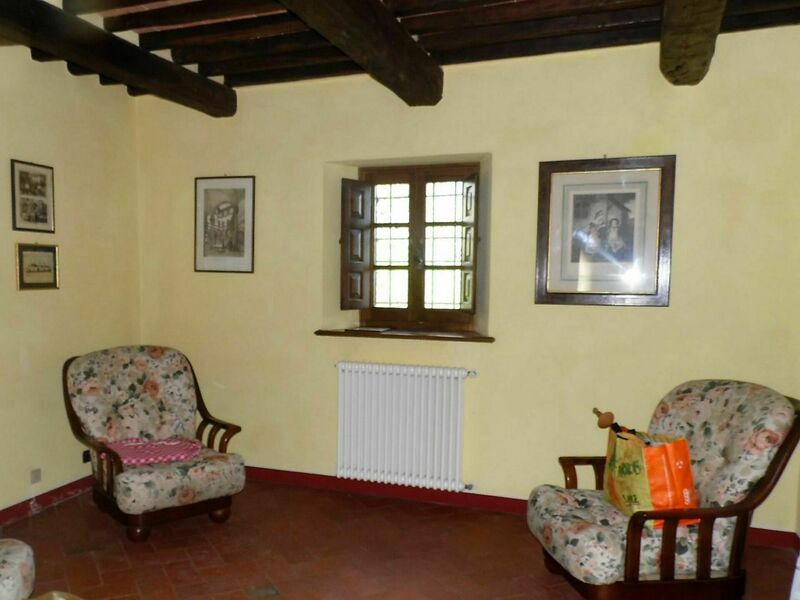 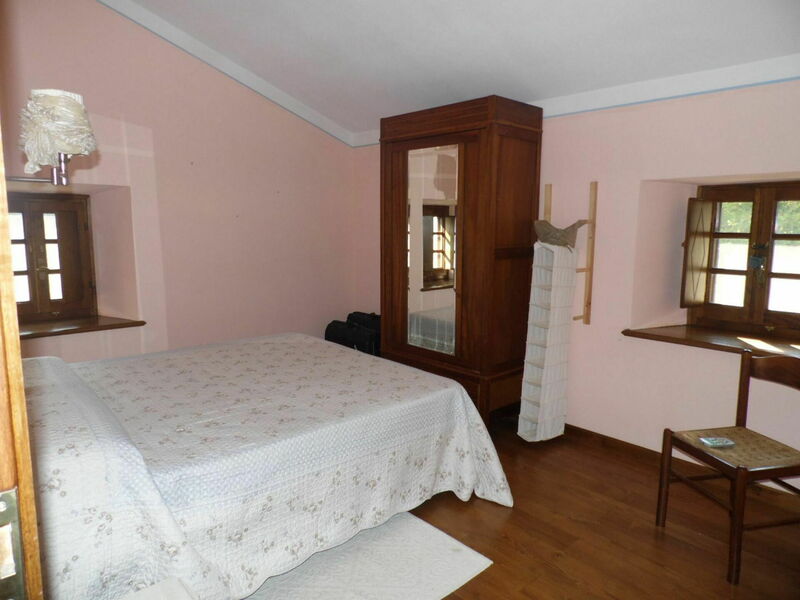 Holiday Home Chiara in the Garfagnana area of Tuscany is a spacious detached 4 bedroom, 2 bathroom property with large wraparound garden, private pool and mountain views. WIFI. 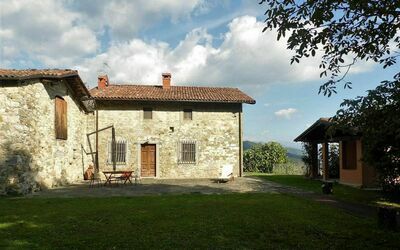 Being built out of traditional stone and boasting beamed ceilings, tuscan flooring, chestnut windows with internal wooden shutters, and a classic tuscan kitchen, there is a real feel of Tuscan Charm at this peaceful property which is set on the top of a hill, with commanding views of the stunning countryside. 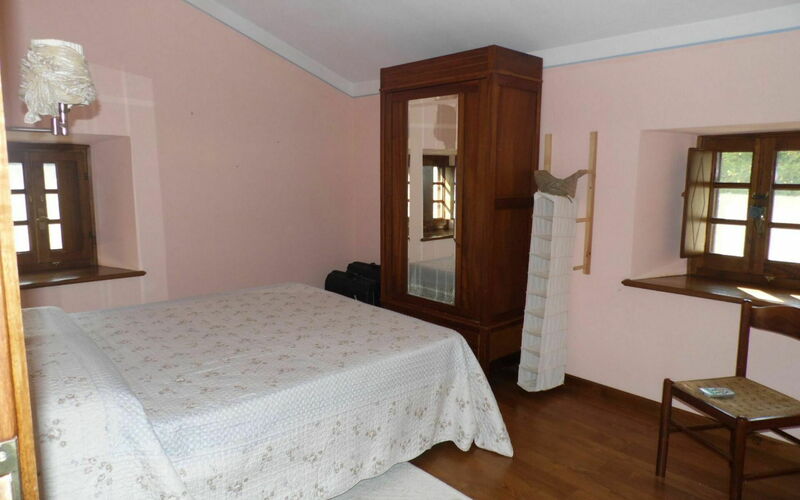 Despite the traditional ambience there is a well equipped kitchen, modern bathrooms and even insect screens. 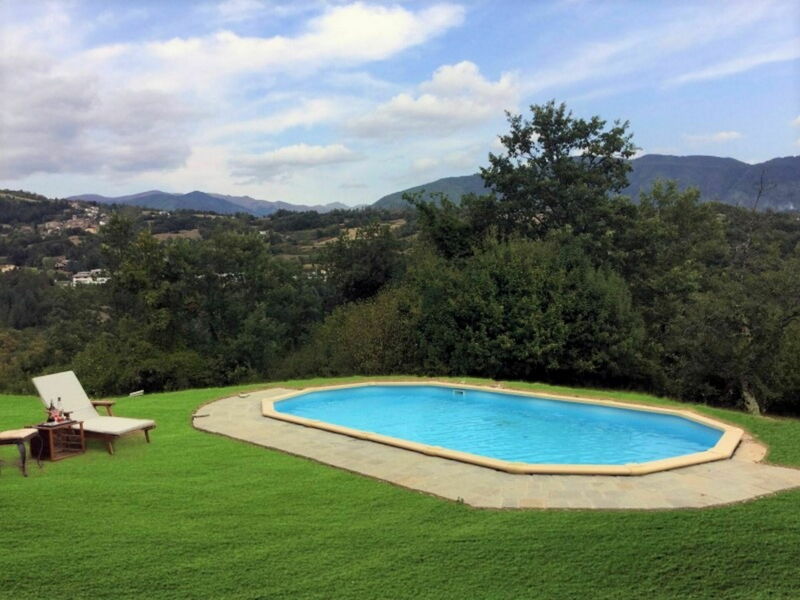 The owner has renovated this beautiful property with lots of love and care, and is happy to share it with guests as due to work commitments she now uses it herself less often. 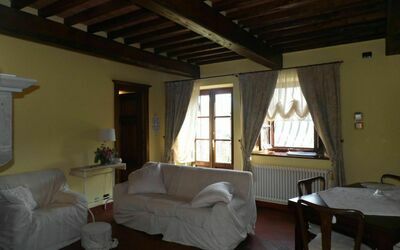 As well as the main house there is a little barn with a second living room, perfect for relaxing away from the rest of your group if you need your own space. 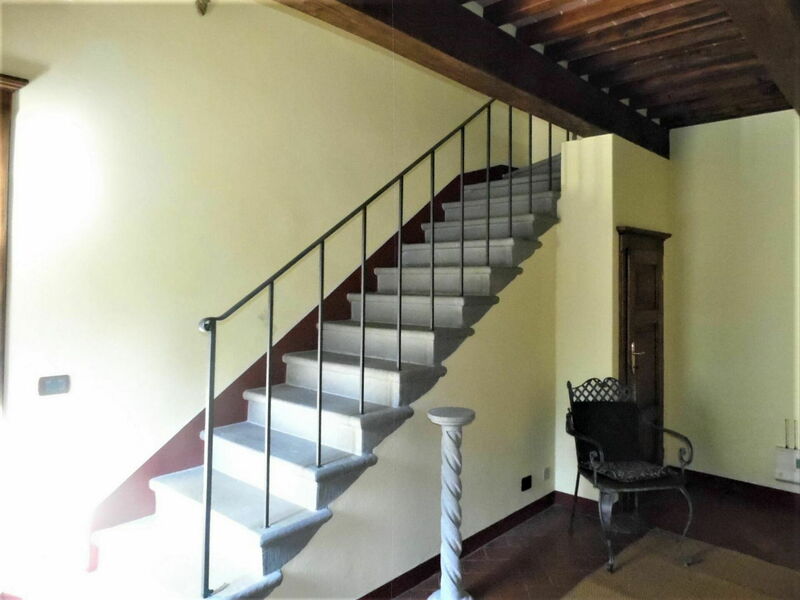 Enter via traditional door into the hallway with original stone staircase. 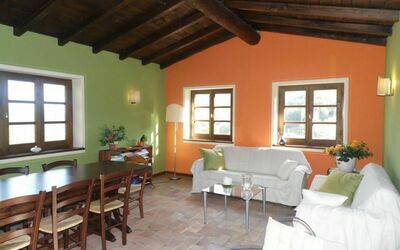 Right into spacious living room with beamed ceilings, cotto flooring, large original fireplace and comfy seating along with a dining table that extends to seat 8 guests. 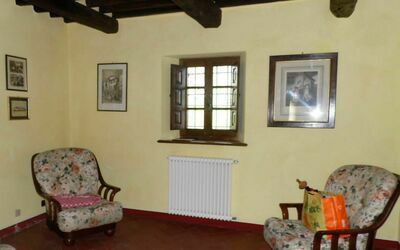 TV is Italian only but there is a DVD player if you wish to bring films. The living room also has a door leading to garden. 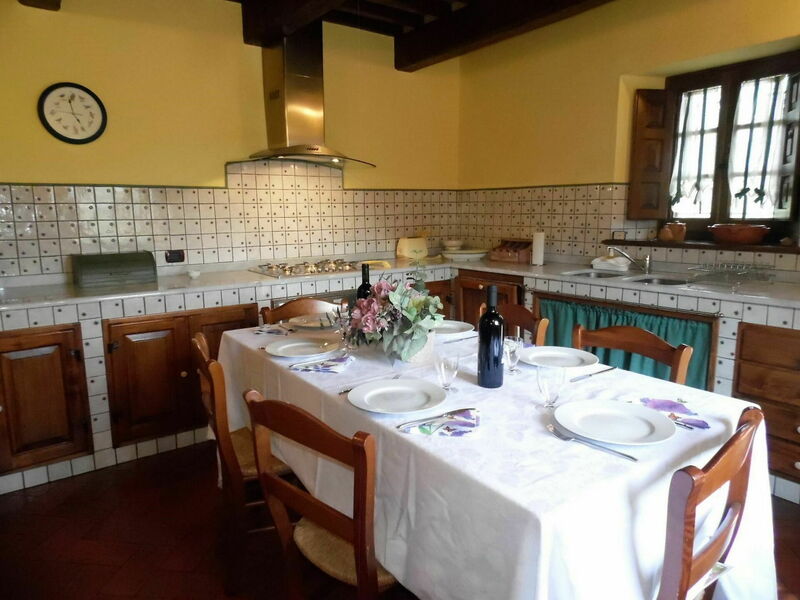 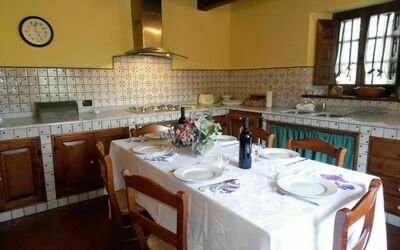 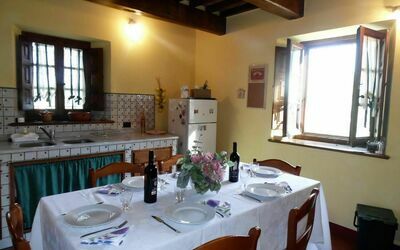 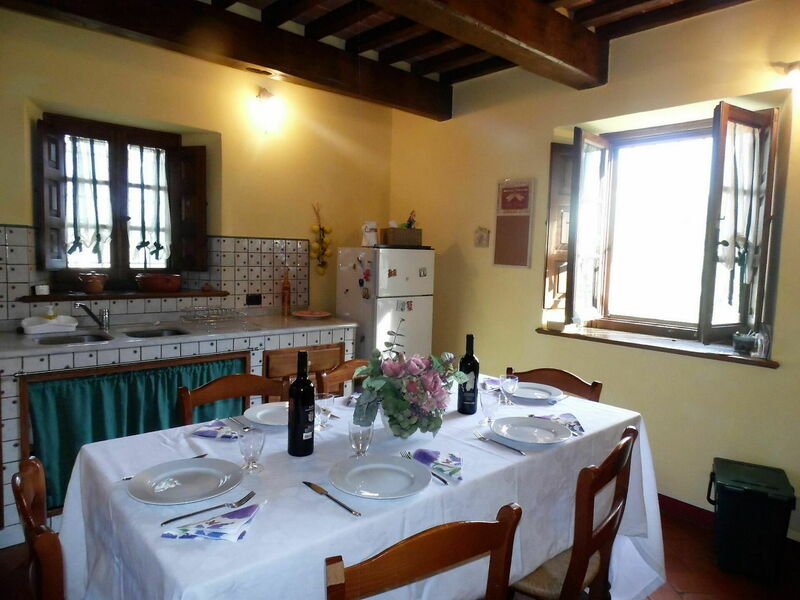 From here one reaches the traditional Tuscan country kitchen/diner complete with large oven, 5 ring hob, dishwasher, double sink, microwave, and breakfasting table - all you need to try your hand at Italian cooking. 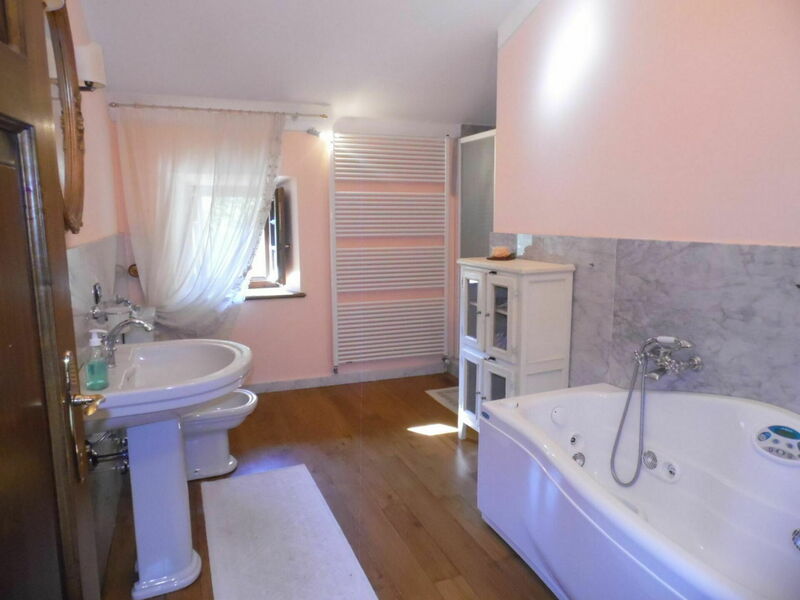 Also on this floor is a twin bedroom and a modern shower room with shower cubicle, basin, WC and bidet. 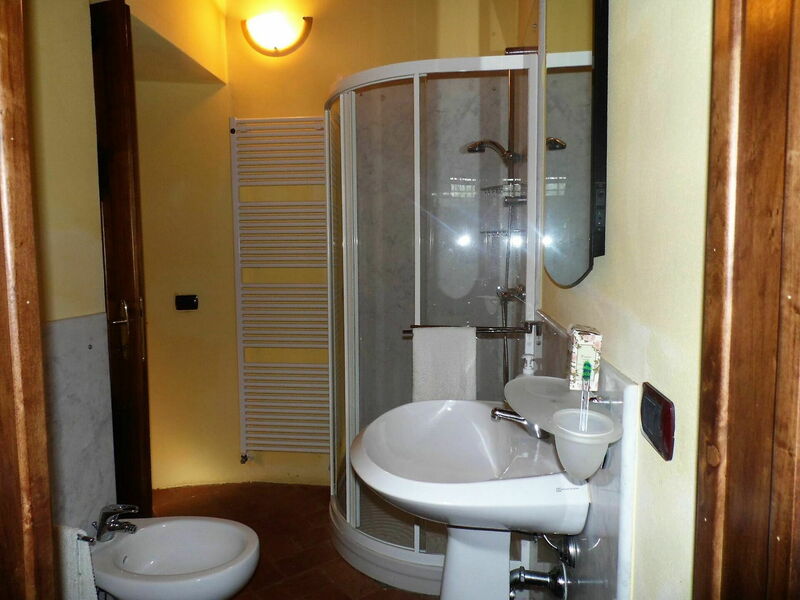 There is also a utility area with washing machine. 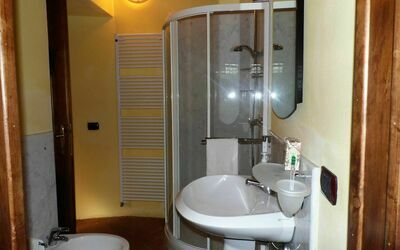 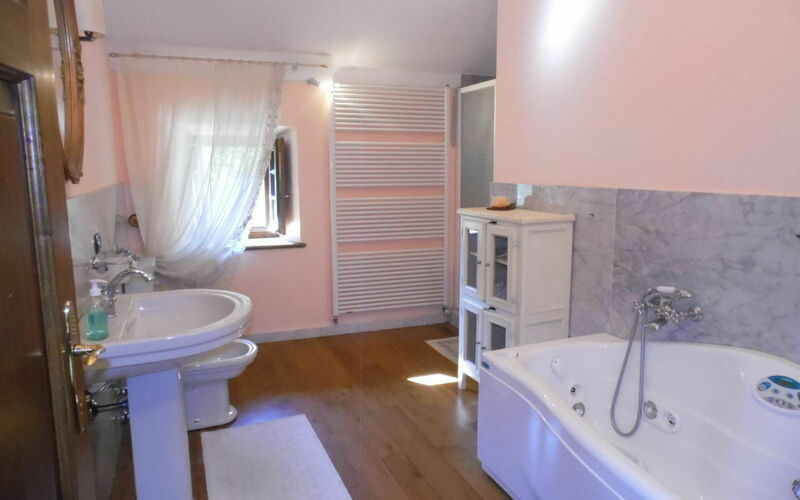 Family bathroom, with hydromassage bath, separate shower cubicle , large basin, WC and bidet. 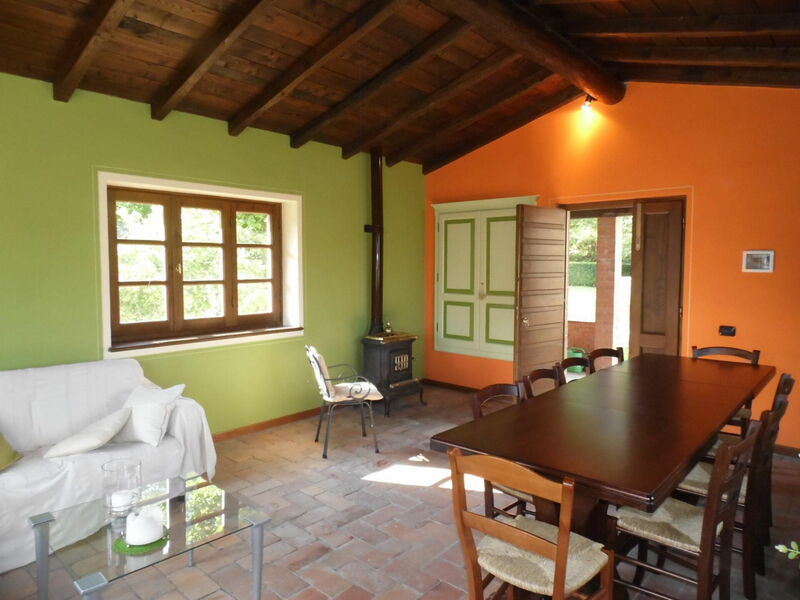 Large wrap around garden with traditionally paved patio area for al fresco dining. Plenty of flat grounds for children to play (unusual with a mountain property!). All this unspoilt countryside, stunning views and real feel of olde worlde Italy, yet one can still walk cross country to a restaurant (open high season Thurs to Sun) and there are further places to eat via a short car journey. 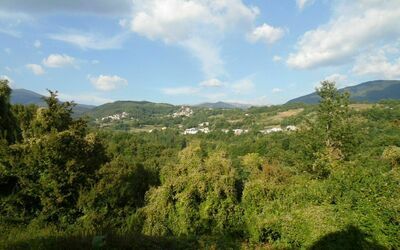 The village of Piazza al Serchio, just a 5 minute drive away has a supermarket as well as traditional shops too.